Fully handmade Kendama. 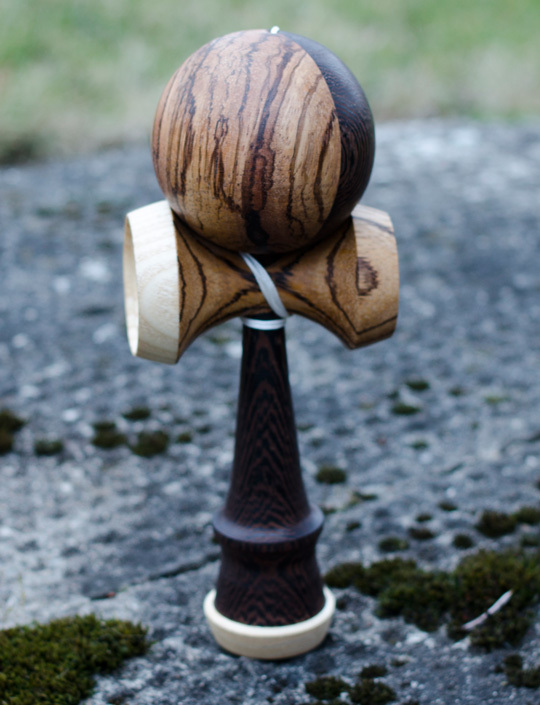 This Kendama is interesting because of the big and center cup is made of ash wood. Ken made of exotic wood wenge and zebrano. The tama is divided into wenge and zebrano.